Later, Tom and his friend, Huck Finn, decide to go on a quest for buried treasure, only to find themselves in the presence of two thieves who have an evil plot to harm one of the widows in town. Purely by chance, Tom and his love interest, Becky, become trapped in a cave, and to Tom's fright, discover that there is someone else who is in the cave with them - someone that they would absolutely not like to cross. Ultimately, Tom and Becky are rescued, but the tale does not end there. 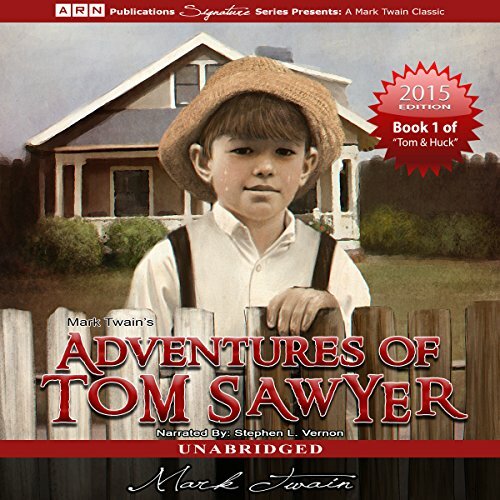 In the true spirit of boyhood adventures, Tom and Huck reunite to continue their streak of treasure hunting and manage to devise a plan to create their own troupe of robbers. A bright colourful description of a boys' antics and imaginings in among the harsh realities of a naïve adult world..